In addition to the existing curriculum of Advanced Design Studio work that culminates in a design-research Thesis project, the Criticism, History and Theory concentration will offer an intensive one-year immersion in the criticism, history and theory of architecture. Emphasis is placed on approaches to architectural analysis and history, the role and contemporary relevance of theory, and the relations between theory and design. Seminars will offer students preparation for careers in journalism, teaching, and eventual doctoral studies, with a broad understanding of the cultural conditions of architectural production and a concentration on excellence in writing. Analysis studios provide a deep insight into the formal and programmatic diversity of historical and contemporary architecture, the process of design, and potential avenues for new approaches towards theory and practice. A required emphasis in Urbanism or Technologies of Representation allows for deeper investigation into specific areas of historical or contemporary architectural theory. 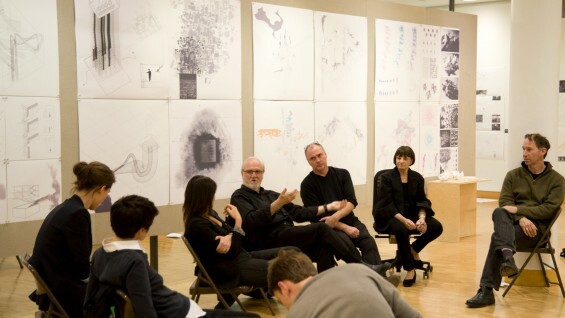 Faculty directly engaged with the Master of Architecture II program (in studios and seminars) include Diana Agrest, Lydia Kallipoliti, David Turnbull, Anthony Vidler, Michael Young, Tamar Zinguer, Guido Zuliani and others. Guest lecturers have included Lucia Allais, D. Graham Burnett, Kurt Forster, Ruben Gallo, Adam Maloof, Joan Ockman, Gyan Prakash and others.